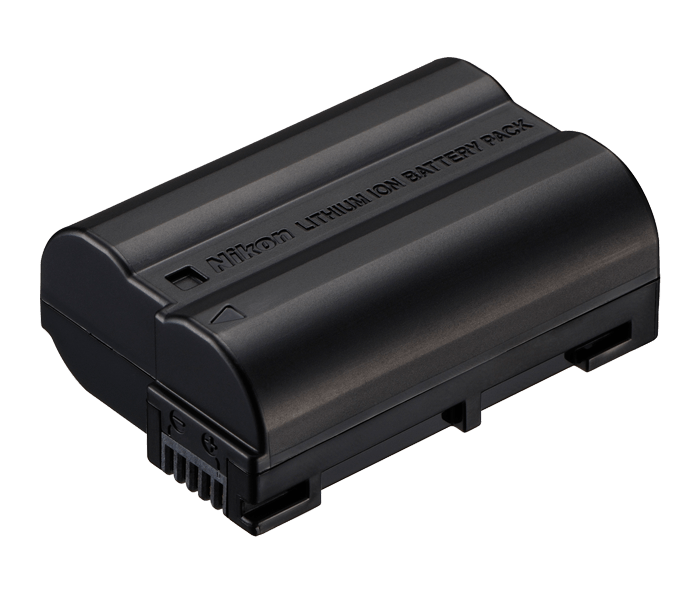 The EN-EL15 is a rechargeable Li-ion battery that powers select Nikon cameras, providing 7.0v and 1900 mAh power. The battery uses the MH-25 charger. Used together with your Nikon camera, the camera's fuel gauge accurately displays the remaining charge and number of shots since the last charging.